After crowdfunding through the 24-Hour Trilingual Poetry Marathon, we managed to fund our mini tour of La Niña Barro to Brazil and Uruguay. 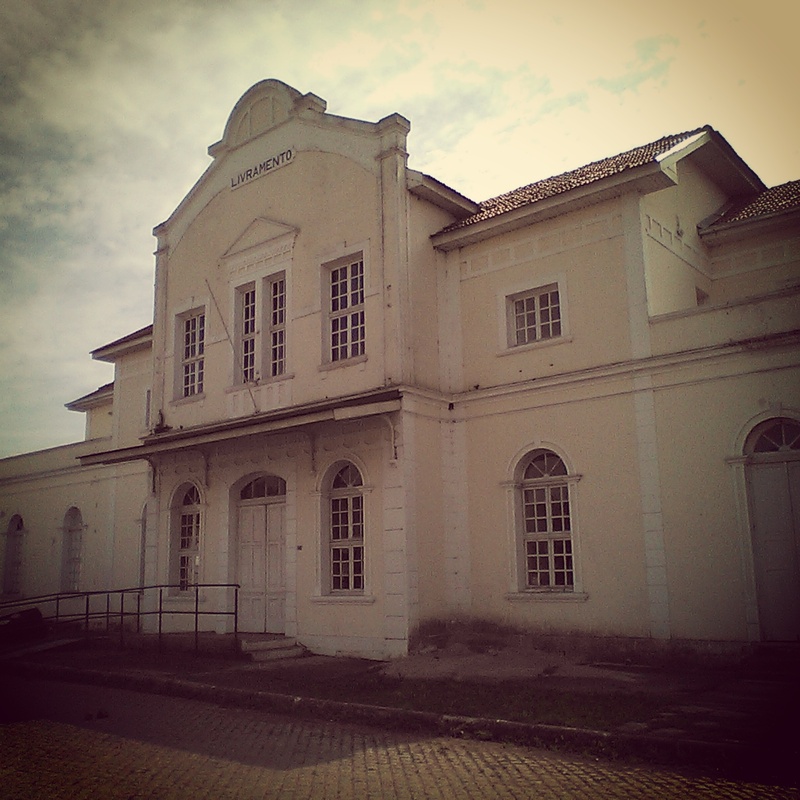 As a thank you to the community of my hometowns of Rivera and Santana do Livramento, we did one free performance of the show at the old Livramento railway station, no longer used. The railway station building dates from 1910 and is a gorgeous example of the architecture of that period. 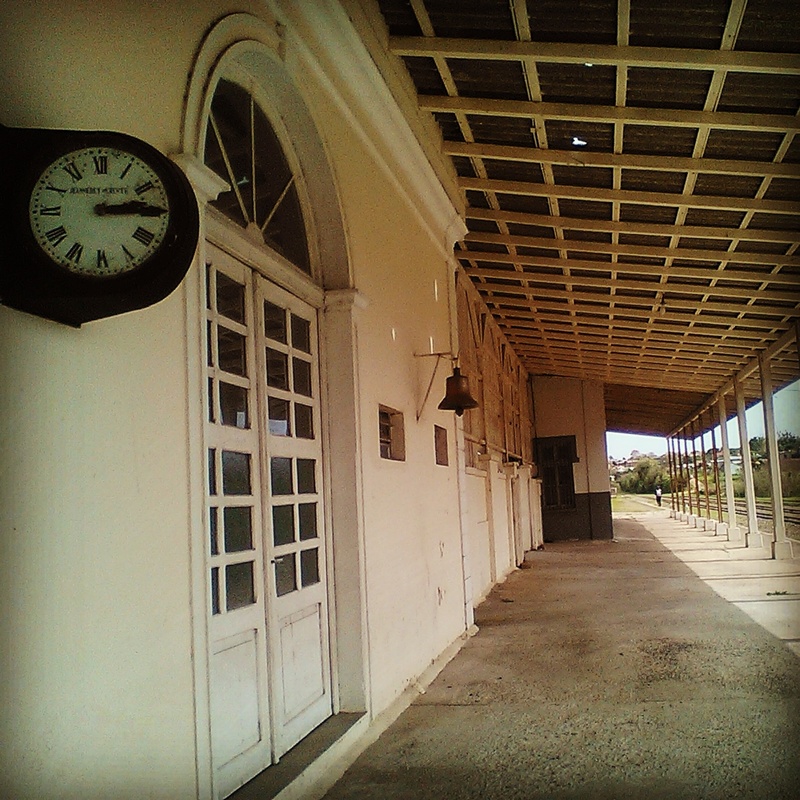 The station was an important link along the international railway connecting Sao Paulo to Montevideo and Buenos Aires between 1943 and 1954, but as a result of the Brazilian railway crisis in the 1980s, the station was one of many being deactivated. 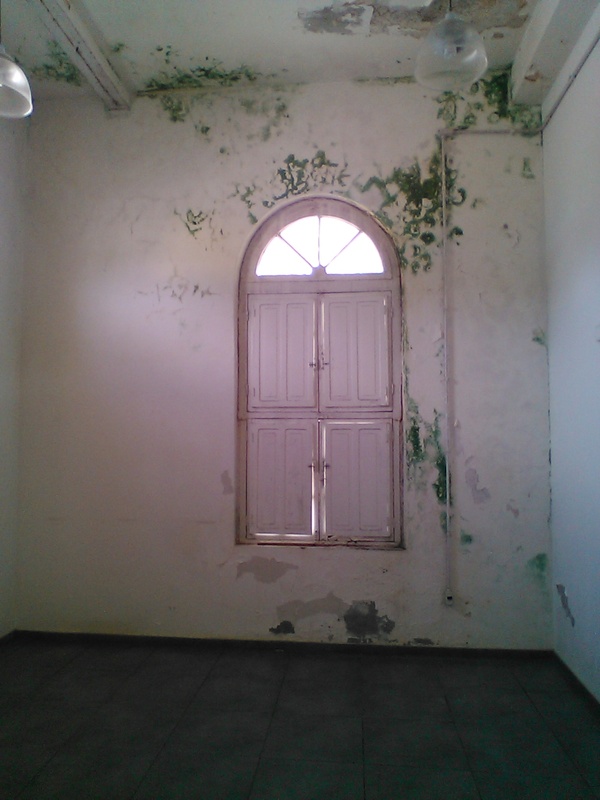 The derelict building was restored in 2012 and re-opened as a cultural centre, hosting films, exhibitions, and music gigs, but it had to be closed again at the end of 2014 due to water damage. The roof was being re-done while we were there and the top floor wasn’t the safest space to be with a large group of people, but the council agreed to let us use the main hall for the performance. They were also kind enough to let us rehearse at the station during the week and lend us lights and ladders. Throughout the week, in-between rehearsals, we were going to TV and radio interviews on both sides of the border to promote the show. I got increasingly excited and anxious as the week progressed, as this was going to be the first time my family and my birthplace saw a piece that I directed. I mean, we had done Fronteiras Explorers two years before, but that was a different kind of project. The day of the performance arrived and we were good to go. I was really unsure what to expect… we had a list of confirmed guests put together via facebook, but I wasn’t convinced everyone would turn up. It was a rather chilly night and we didn’t have a foyer/waiting area, so we closed all doors and as Alex and Eli used the last half an hour before the show to get ready and focus, I went outside to wait for the audience. The first person to arrive, very early for our relaxed standards, was this sweet elderly man. He travelled there by taxi and I helped him get out of the cab when I noticed he had a zimmer frame. He was alone and I couldn’t possibly leave him outside waiting in the cold, so I explained that the house was not open just yet, but he was welcome to sit in the security guard’s office near the heater. Other people began to arrive in their own cars, and following the true tradition of the border, when instructed to wait until we could let them in, remained in their cars drinking their mate and chatting to their friends. A nice long queue began to form, and before long, it was clear that we would have a full house. We opened the doors to an audience of around 80 people, some of whom had to stand in the back or sides, as we didn’t have enough seats. We did not turn anyone down at the doors, but once we closed them and started the performance, there was a handful of latecomers that could not come in. If I had known that the event would be so popular, I would have considered doing two nights. The number of people attending wasn’t my only pleasant surprise. The reaction was actually incredibly positive. I wasn’t sure how this audience of non-theatregoers would receive a piece which had been censored in Edinburgh and was very different from everything they were used to. I heard complete silence during the piece and saw many tearful eyes at the end. We offered a post-show discussion and were there for another hour. It was so refreshing to have a mature audience (I reckon the average age was later 30s to mid 40s) of regular punters – apart from a couple of arts teachers and local theatremakers, the majority of the people there were not involved in the industry. There was a blind woman who was very touched by the performance, as well as a lovely girl with Down’s Syndrome who told us during the post-show discussion how much she’d enjoyed it. My siblings and my mother were there and were also moved. But the one unforgettable comment, of all the comments and questions we had, was of that sweet elderly man who’d arrived before everyone else and stayed until the very end. He approached me and said he had followed the 24-hour poetry marathon on the radio, as he did not leave the house much due to his mobility problems. When he heard that we had managed to bring the show, though, he said he knew he simply could not miss it and found a way of getting down to the station to watch it. These are the moments that will always serve as anchors for me to keep doing what I do. It is hard, it is incredibly frustrating at times, but then something like this happens and it suddenly makes everything worthwhile. Thank you Riveramento for this experience.